The extra large counter display makes this days without accident sign pop. 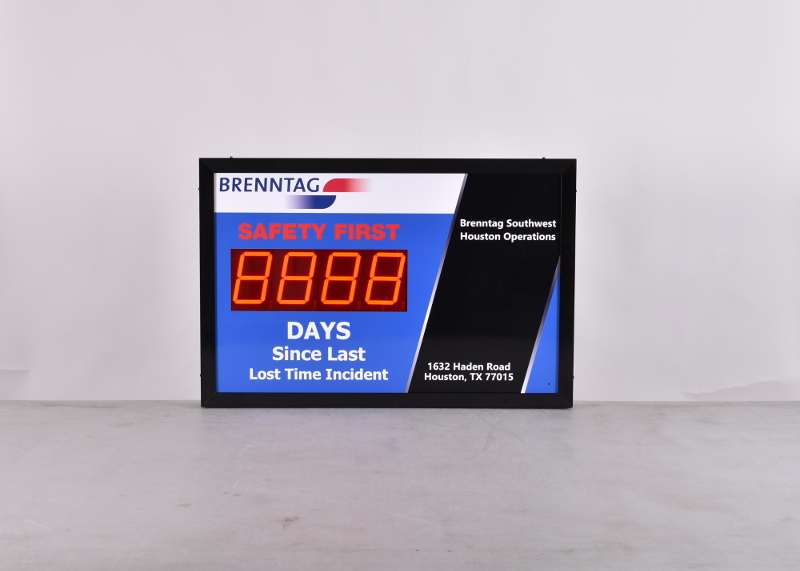 Medium sized sign with five inch digit height automatically tracks your safe days worked. Keep safety in mind by keeping score of consecutive safe work days with this 24" high by 36" wide digital safety record sign. 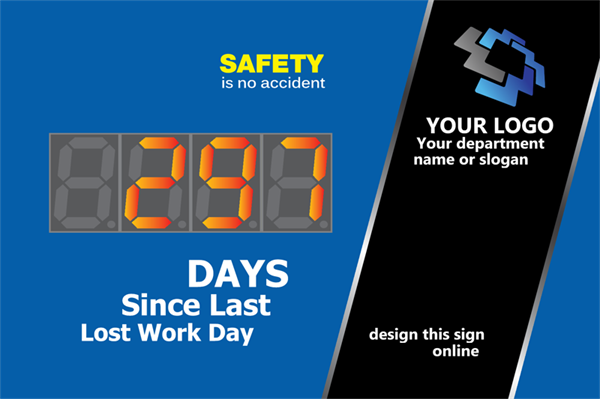 The five inch tall four digit display automatically tracks the number of days since your last work injury so you don't need to keep updating a sign each day with your current record. Easily make this sign your own using our online designer.